Air India is the original zombie, infected by a govt bailout. If Jet is bailed out, then the next firm will need one too & the infection will spread. The recent financial problems at Jet Airways should not be seen in isolation. They are part of the broader airlines sector in India, infected by a zombie firm, Air India. Since 2012, when the latest turnaround plan for Air India was introduced, the airline has been on government support. We cannot wish away the consequences of this broad and long-term support to one player in the airlines sector. In effect, Air India was the first zombie, and it has now bitten Jet Airways. In the next few days, just like in the movies, one of two things can happen to Jet Airways: It can die or become a zombie. Death for Jet Airways would mean liquidation or resolution where the present shareholders are wiped out. Becoming a zombie would be the case where public sector banks provide additional funding to the airline to keep it flying. Public sector banks taking over substantial or majority share in Jet Airways would also mean it becomes a zombie. Zombies in popular culture are scary for two reasons. The death and destruction they bring upon the population and the way they propagate. When zombies attack you, there are two possible outcomes: You are eaten up completely, or you turn into a zombie. This ensures that the number of zombies keeps increasing exponentially. Most post-apocalyptic movies show ruined cities overrun with zombies, all of them walking around aimlessly. The first feature of zombie firms is the death and destruction that they bring to the sector in which they are operating. When an insolvent firm is artificially kept solvent, it destroys value in the entire industry. The bankrupt firm, usually kept functioning with government subsidies or government-directed lending, keeps producing goods and services. Apparently, this seems right. The economy gets the products and services it needs, the employees of the firm get to keep their jobs, the suppliers continue to get paid. As a consequence of the subsidy or directed lending, the firm is freed from the requirement to generate a return on its capital. Running at a loss affects all the other firms in the industry. Because the firm does not have to worry about generating profits, it can continue to sell goods and services below the cost of making them, and not provide a return on the capital in the firm. As products and services are sold below the price of production, other firms cannot compete with this insolvent firm and have to cut prices. Doing so requires the other firms to tighten the belt. Usually, this is done by reducing profits and reserves. The competing firms now cannot generate a return on capital and, therefore, are unable to make new investments. In extreme cases, normal depreciation of capital assets cannot be replaced, and the firm cannibalises itself. Zombie firms usually start with a national champion that is artificially kept functional with government support. The state justifies keeping the firm alive for emotional reasons or fears mass unrest when it fails. However, just like zombies, the firm starts harming the sector itself. A zombie firm, like real zombies, can do only two things to its peers: Either it will kill them, i.e. drive them to bankruptcy, or it will turn them into zombies themselves. Because the national champion operates like a zombie, other private competitors are soon driven bankrupt, or the government has to step in. Now, other competitors also require similar support (nationalisation or government-directed lending). Just like zombies, they, in turn, make other competitors dead or need government support. Soon the entire sector is full of firms on government support, low productivity, and a drain on the exchequer. Just like in the movies where living humans have to escape from the city full of zombies, private investors have to exit the sector. No private sector company can compete with the government in providing subsidised capital to a firm. Private investors quickly learn their lesson and avoid investing in the sector. This, in turn, requires the government to step in to aid the firms, creating more zombie firms. The roots of Jet Airways failure lies in the government’s 2012 turnaround plan for Air India. Instead of the one goal of all commercial enterprises, profits, the government gave Air India multiple goals. This ranged from on-time performance and revenue-per-km-per-passenger, to average load factor. Just like any agent with multiple objectives, Air India did not achieve all of them but concentrated on one: Average load factor, a measure of what percentage of seats are filled in a flight of an airline. Air India was the zombie firm producing air-seats at prices below its production costs. As it continued to get a government subsidy, it destroyed the pricing power of other airlines. 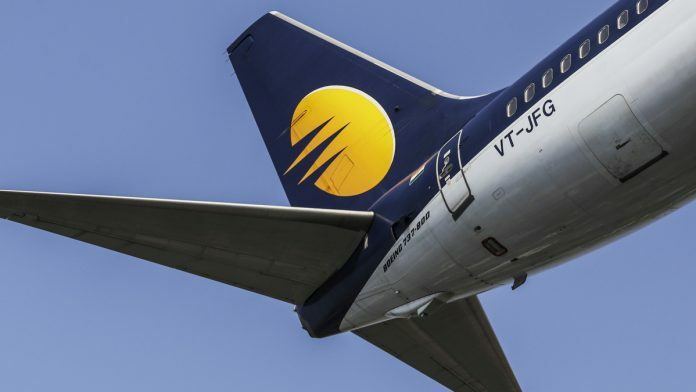 In some way, the failure of Jet Airways is a consequence of the Indian State’s decision (supported by the legislature) to continue to subsidise Air India. Therefore, it is only morally right that the government tries to bail out Jet Airways. However, if the government bails out Jet Airways, it is only a matter of time that the next firm will need a bailout. Today, we are on the threshold of creating another zombie firm: Jet Airways. One news piece reports that lenders of Jet Airways feel that “collapse of the airline will not be good for consumers and competition”. This is entirely wrong, and nothing is worse than being turned into a zombie firm. With two zombie firms in the airline sector, consumers and competition will be far worse off in the long run. If enough capital is poured into Jet Airways, the zombie infection will spread to the banking/finance sector which finances Jet Airways. In contrast, Etihad Airways of the UAE has learnt its lesson. Like a rational private investor, it is willing to sell its holding at an 80 per cent loss and get out. It knows it can’t compete with the subsidised zombie firm: Air India. In zombie movies, the hero often has to make a terrible choice. Let a loved one be turned into a zombie or kill the loved one himself. Usually, heroes in fiction can rise above their attachment and do what is good for the loved one and humanity. This is not fiction. Ila Patnayak should stop watching movies. Superimposing stupid celluloid ideas on a business is , well stupid. What is this about three objectives given to Air India instead of just profit? Can the AI turn profitable ignoring even a single one of these? A few years ago, I had a chance to see an Air India Dreamliner being built at Boeing. Two years later, I flew it on a Mumbai to Singapore route. Three things shocked me about that flight (1) That Air India would use a Dreamliner for such a short haul (2) That the ticket price prior to various taxes was close to nothing (3) That the interior was in such bad shape for a new aircraft. This is exactly how Air India wasted taxpayer money — by killing the asset (aircraft), killing pricing on a busy route, and obviously not even covering any cost (fuel, labor, asset depreciation). Jet Airways feasted in the wake of Air India’s mediocrity and is now getting killed in the wake of Air India’s insanity. Socialism meets the market in India ! In a country where a billion plus people ate starving it is criminal for the govt to subsidise phut companies like air india and jet airways. In New India, we don’t pay salary in time even in educational institutions, but will bail out a private sector airlines and give defence contracts to near bankrupt large family businesses. We have the darbari newspapers telling us how the government cannot afford a disaster in the skies just before elections. Wah Sarkar Wah! There are far too many airlines chasing a finite albeit growing market, but the growth is achieved by reckless price cutting. Jet Airways is a creation of the corrupt politicians who were in hock with an unnamed smuggler across the border. During UPA time these politicians did their best to destroy Air India to benefit Jet Airways by taking away lucrative routes from Air India and doing other sweetheart deals for Jet. I know this from the then Regional Director of Air India in a foreign location to his utter exasperation and gloom. Unfortunately with cost of large number of jobs, country’s prestige and credibility it would be nice to save Jet. But there needs to be rationalisation in the licensing of Airlines in India. If anything is done to bail out Jet, it should be at the cost of its current shareholders and Air India and Jet should be merged and eventually privatised. That would be poetic justice and make business sense. No one would “ buy “ Air India for even one rupee. It comes with half a trillion of bank borrowings in its trousseau. Idiot editor forgets, all the governments are responsible for failed management, lack of forensic regulatory oversight, and tax terrorism on ATF to subsidise domestic oil consumption, tax terrorism by assuming is travel is a luxury, and bullying goonda raj by getting free travels and corrupt government getting free flights on even private airlines. One cant forget the misbehaviour with airline staff and not even getting jailed for such assault. Good advice – and good economists like the columnist – are not welcome in the government any longer.